Description: Light blue background. Blue and white ribbon forming a frame. 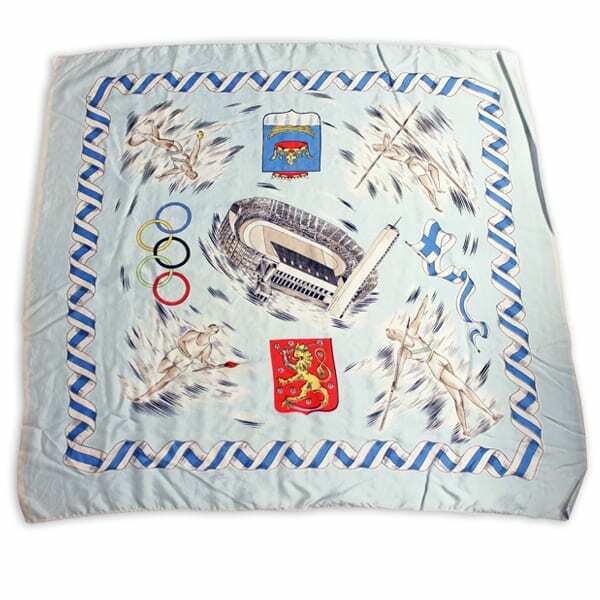 In the middle the Olympic Stadium surrounded by four athlete figures, two coats of arms, the Olympic flag and the Finnish flag as a flying pennant.